Here at Auto Credit Express, our team always stresses the importance of regularly checking your credit reports. When you understand your credit file, you are better equipped to manage your credit and improve your credit score. But do you know how to read your credit report? Your credit reports are basically your financial report cards. They do not include your credit score, but they tell lenders how well you have handled your credit in the past. The good news is that you can get them for free. Once every twelve months, you can request a complimentary copy of yours from each the three major credit reporting agencies (Equifax, Experian and TransUnion). For those that haven't ever checked their credit reports, or those that haven't in a while, it might be best to request all three of yours at the same time. Each report will be slightly different because some of your creditors may only report to certain bureaus. To request your copies, head to www.annualcreditreport.com. The copies that you will get access to are meant to be consumer-friendly, but they can still seem complex. There are abbreviations and terms you may have never seen or heard of before, as well as a boatload of numbers staring back at you. What does it all mean and how do you read it? This is simply your personal information that the agency has collected. You'll find your name, spouse's name, date of birth, social security number, telephone number(s), current and past employment information (name of employer, location, position, etc. ), and current and previous addresses. This section will list any information that may make creditors view you less favorably, and it is broken down in two parts. (1) The public records segment will list any financial-related data obtained directly from the courts. It can include anything public that affects your credit such as bankruptcies, tax liens and judgments. (2) The adverse accounts part will list any of your current or past credit accounts that are in bad standing. This includes accounts in collection, accounts past due, repossession accounts, unpaid medical debts, a credit card that was charged off (creditor has given up trying to collect), and even delinquent gym memberships. The details of the account will be listed next to each item. This important section will list all of your current and past credit accounts that are in good standing. Each account will list all of the information pertaining to it - name of creditor, date of opening, account number, type of credit, who's responsible for the account, terms and monthly payment information, status, original amount or credit limit, recent payment activity, and any comments from the creditor. 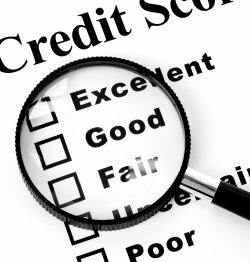 Your credit reports will also include a list of everyone who has asked to see your credit report. These inquiries are sorted into two sections: Hard and soft. Hard inquiries are those performed by creditors as a result of a transaction initiated by you, and they can negatively affect your credit score. So, anytime that you apply for credit, insurance, housing, or loans and your credit is checked by the company, it will be listed here. Soft inquiries will not affect your credit rating, and they are typically performed by you, potential employers that you give permission to, and other creditors who are legally allowed to (such as those looking to preapprove you for offers). And there you have it. 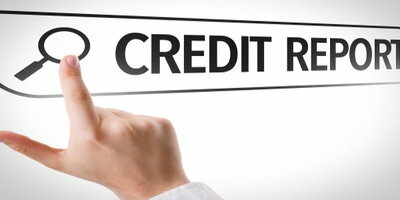 These are the four main sections that you will find in some form on your credit reports. Once you get a handle on them, a great strategy to monitor your credit files is to request one report every four months. This ensures that you are on top of your credit information year-round in a balanced fashion. If your credit is damaged and you want to improve it, you may want to consider the services of a trusted credit repair agency. 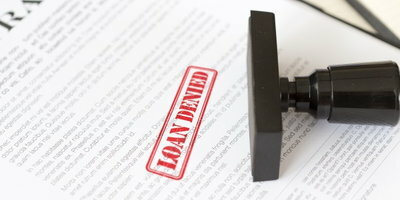 If your credit report isn't as clean as you'd like it to be, many lenders won't be willing to approve you for a loan. If you need to finance a vehicle when you have less than perfect credit, the simple solution is to let Auto Credit Express help. We have the nation's largest network of special finance car dealers and we will connect you to the one in your area that stands to give you your best shot at an auto loan approval. The best is that it's completely free and only takes a few minutes to get started. All you need to do to begin the process is fill out our easy and secure online application.